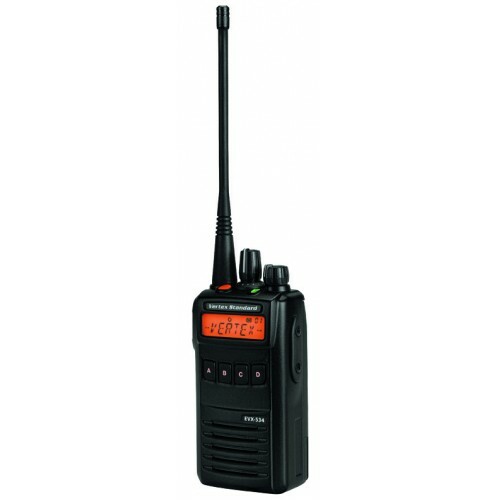 Motorola has discontinued this popular radio - but we still have some left - hurry before they're gone! 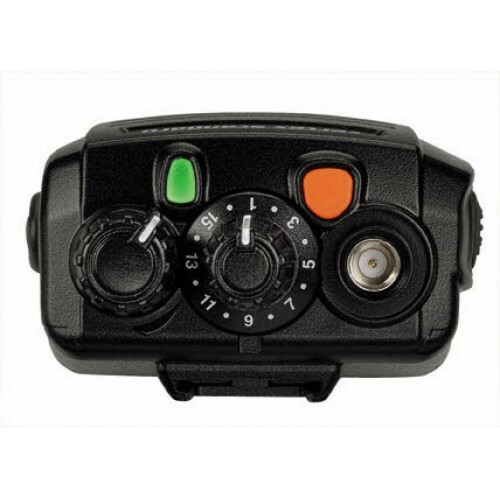 The Vertex EVX-534 has 7 programmable keys and an 8 character display. 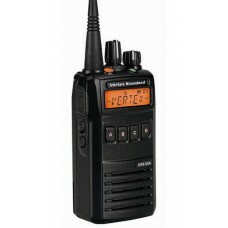 Like the EVX-531, this radio is submersible (up to 3 ft for 30 minutes) and weatherproof. 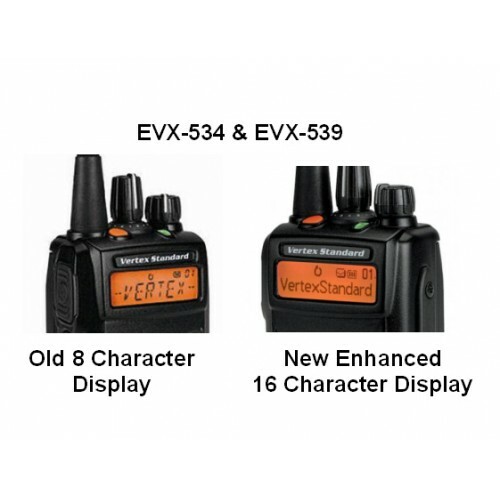 The EX-534 has the Channel Announce feature that clearly speaks the channel description to simplify changing channels while focused on other tasks. It has numerous scan options (priority, dual watch, follow-me, 32 scan list, talk around). The Vertex EVX-534 includes Voice Inversion Encryption for discreet communications, over-the-air Stun / Kill / Revive to disable a lost or stolen radio, Emergency notification, and the Lone Worker mode. There are several worker safety features, extra audio volume for noisy environments, and whisper mode for quite locations. Want a display, more function keys, and a full key pad? The Vertex EVX-539, it has everything the EVX-534 has plus 9 programmable keys, and a full 16-key keypad.